The full-length debut by the man known as the originator of rock and roll should need no introduction. Though never a top seller on par with his Chess Records rival Chuck Berry, Bo produced a catalog of classics to compete with all but a handful of the best early rockers, pushing rock and roll to its funkiest ever. The Bo Diddley beat--that 'bomp, ba-bomp-bomp, bomp-bomp' to which the pop-garage 1965 hit 'I Want Candy' by the Strangeloves owes everything--is one of rock and roll's bedrock rhythms, showing up in the work of Buddy Holly, the Velvet Underground, and the Rolling Stones to name but a few. An all time classic that stretched back as far as Africa for its roots, and looked as far into the future as rap, while still remaining a milestone in the transition from blues to early rock and roll. Ellas McDaniel (aka Bo Diddley) was a true American original. He originated a rock beat that has been used by everyone from The Who, to Bruce Springsteen, to The Smiths, had a teenaged Marvin Gaye working as his valet, toured with The Clash, and was in a series of popular Nike commercials. Not to mention the fact that, oh yeah, he wrote and recorded some of the most important rock and roll music of the mid 20th-century. And that guitar, that iconic guitar, which is prominently featured on the cover of this classic 1962 LP. This is the first LP to feature his popular female rhythm guitarist sidekick, The Duchess, and while not featuring the chart-toppers of other release is a stunner of classic R&B influenced rock and roll that's essential for any Diddley fan. One of rock'n'roll's most iconic albums, reissued as a pressing on BLUE VINYL, with sound from the original Chess/Checker masters in glorious mono. This edition comes with a faithful reproduction of the original artwork. 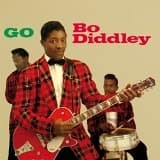 Widely regarded as one of Bo Diddleys best albums of the late 1950s and early 1960s, there is not a bad song to be found on the album Bo Diddley Is A Lover.From the largely autobiographical Bo Diddley Is Loose, the single release Not Guilty and Hong Kong Mississippi (the best track on the album, bar none) to Quick Draw, there is plenty to savour and enjoy. Studio work 1955-1957. 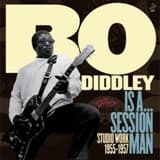 Bo Diddley is a Sessionman showcases his skills as a first-rate composer, talent-scout, session musician and producer of R&B stars such as Little Walter, Billy Boy Arnold, Billy Stewart, The Schoolboys and The Marquees (featuring a youthful Marvin Gaye in their line-up). Nice edition w/ gatefold sleeve, remastered sound, artists pics and extensive liner notes by George R. White, author of Living Legend, Bo Diddleys biography. Studio work 1955-1957. 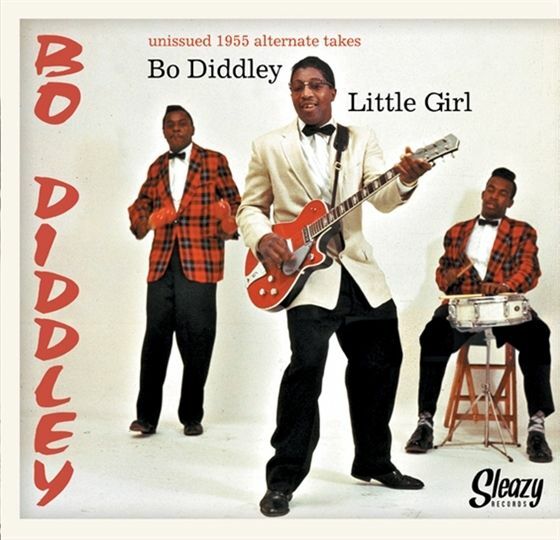 Bo Diddley is a Sessionman showcases his skills as a first-rate composer, talent-scout, session musician and producer of R&B stars such as Little Walter, Billy Boy Arnold, Billy Stewart, The Schoolboys and The Marquees (featuring a youthful Marvin Gaye in their line-up). Remastered sound, artists pics and extensive liner notes by George R. White, author of Living Legend, Bo Diddleys biography. Elias Otha Bates, known to the world as Bo Diddley, was one of the most influential guitarists in the history of American popular music. 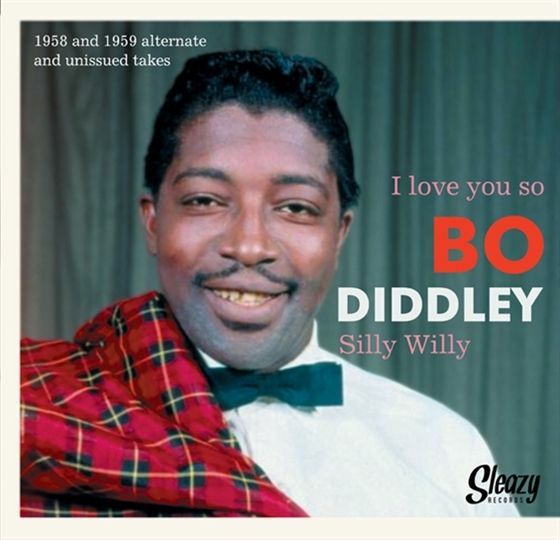 Without Diddley, it could be argued, you would not have Jimi Hendrix, or The Rolling Stones, or even Buddy Holly - whose "Not Fade Away" was a clear and obvious nod to the Bo Diddley beat. Originally released on Checker in 1962, Bo Diddleys A Twister, was one of THREE albums released by Diddley in that year alone. Truly one of the hardest working men in show business, his productivity did not do anything to dilute his sound, and the classics here include "Detour", "Road Runner", and "Here Tis" which The Yardbirds would cover extensively live, but never match the power of the original. 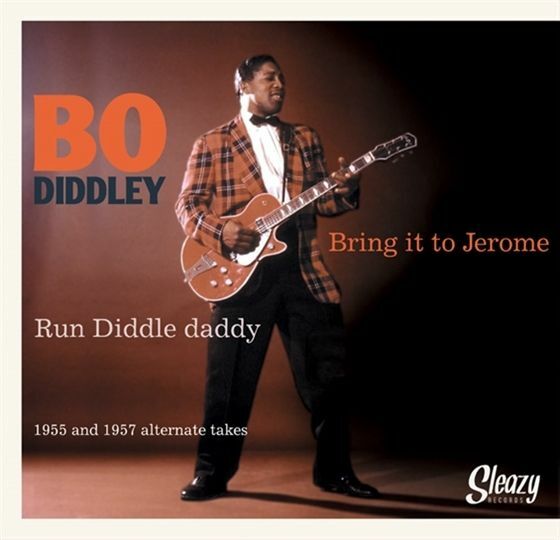 Another Bo Diddley classic on RUMBLE! His second 1959 long-play effort only adds a go to his classic debut, refining his trademark square guitar and crazy-distorted amplification to create new sounds (anticipating the innovations of 60s rock icons like Jimi Hendrix) and his rumba-sounding, hambone-styled Bo Diddley beat. 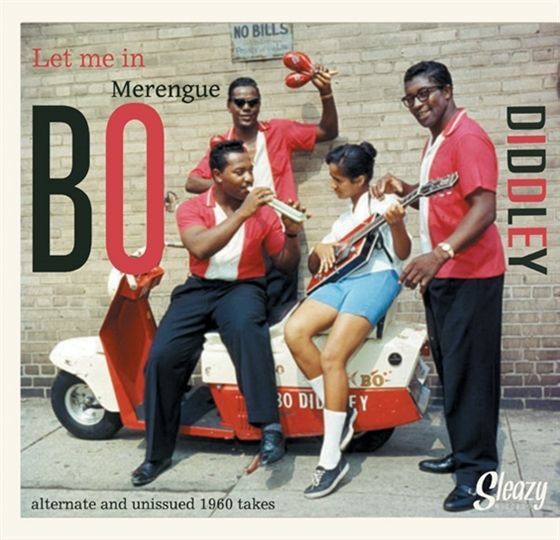 Ellas McDaniel, better known to the world as Bo Diddley, was born in 1928 in McComb, Mississippi, but like so many electric blues legends, was raised on the south side of Chicago. After performing on street corners for years on the south side, Diddley finally cut his first records in 1955, for Chicago's own Checker label. Have Guitar Will Travel is his 3rd LP for Checker and a classic of electric guitar driven blues and R&B. Reissued here with bonus tracks on 180 gram vinyl with a download code. Limited edition 12" picture vinyl of blues rock legend Bo Diddley performing some of his best songs live including "Bo Diddley," "Roadrunner," "Im A Man" and more! Limited edition 12"picture vinyl of blues rock legend Bo Diddley performing some of his best songs live including his best loved "Bo Diddley," "Roadrunner," "Im A Man" and more! One of the essential names of the early rock and roll era, inventor of that "Bo Diddley beat" -- bomp, ba-bomp-bomp, bomp-bomp -- that became one of rock & rolls bedrock rhythms - showing up in the work of Buddy Holly, the Rolling Stones, and the Who to name but a few - Bo Diddley pushed rock and roll to its funkiest extreme. Mostly known for the hot and raunchy hit "Road Runner", Bos fourth album from 1960 hides more than a few suprises: from the Caribbean-sounding "Limber", to the doo wop-style "Deed and Deed I Do", or the solid instrumental "Scuttle Bug", this is an unmissable chapter in Bos early career. 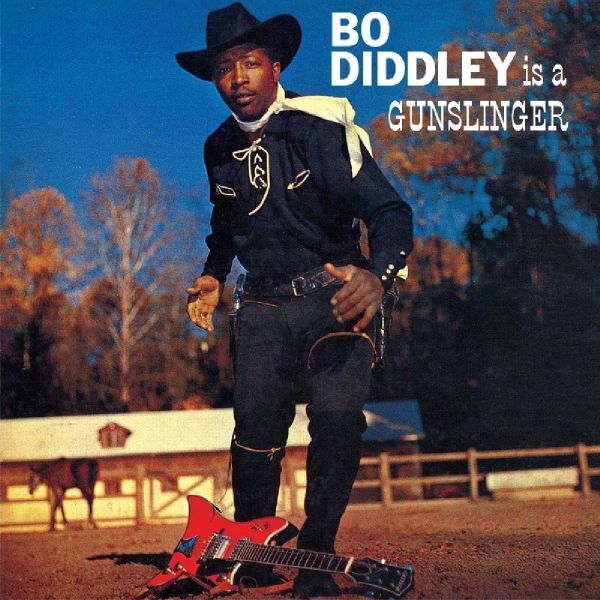 One of his more compelling albums, Bo Diddley Is A Gunslinger also features one of his most striking covers, featuringBo as a cowboy. It was to be something of an omen, for he would later serve as a deputy sheriff in ValenciaCounty!If the cover captures the imagination, then the contents within hold it, and then some. As well as featuring nineoriginal Bo compositions, it includes his version of Sixteen Tons, the well known Tennessee Ernie Ford hit that Bowas supposed to perform live on the Ed Sullivan Show but didnt earning lasting animosity from Ed Sullivan as aresult. 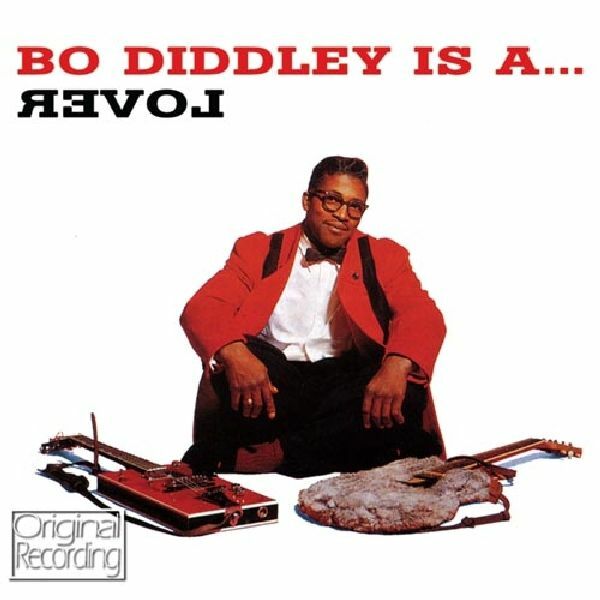 The nine originals are everything you would expect from a Bo Diddley album. Unlike a lot of other rock n roll stars who had gotten their start in the 1950s, Bo Diddley kept going strong into the 1960s and even the early 1970s for that matter. Bos sixth album from 1961 clearly prefigures most of his 60s output, while still keeping that classic rock n roll feel he had been one of the pioneers of, and probably its most original interpreter. From the flamenco-inspired instrumental "Aztec", to the two briskly-paced rockers, "Hong Kong, Mississippi" and "Youre Looking Good", or the goofy spoken word "Bos Vacation", Is A Lover demonstrates what a huge influence the man was not only on British rock bands from the mid-1960s but what is commonly described as the "San Francisco Sound" as well. Another indispensable title from the man with the funny-shaped guitars!